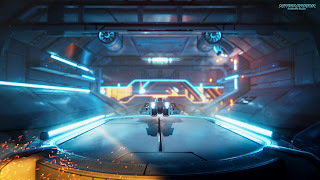 As a huge Wipeout fan from the early PS1 days I was very curious to check out Antigraviator from Indie studio Cybernetic Walrus at PAX East. 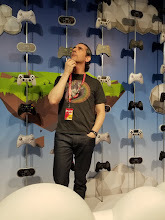 When I had a chance to see the game and play it I was very impressed with what the team has done with the Unity engine on this game. The game is striking visually with bright vibrant colors and detailed tracks, but what was truly impressive was the raw speed of the game even when 4 player split screen matches were happening. 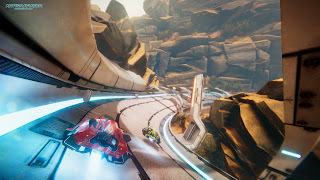 The action is blazing fast and the mechanics while incredibly similar to Wipeout have some neat tweaks that set it apart. One of the big differences is the trap system, there are traps scattered across the tracks and as your Grav (what they call the ships in the game) collects yellow tokens you unlock the ability to either trigger the trap or use it as a boost. 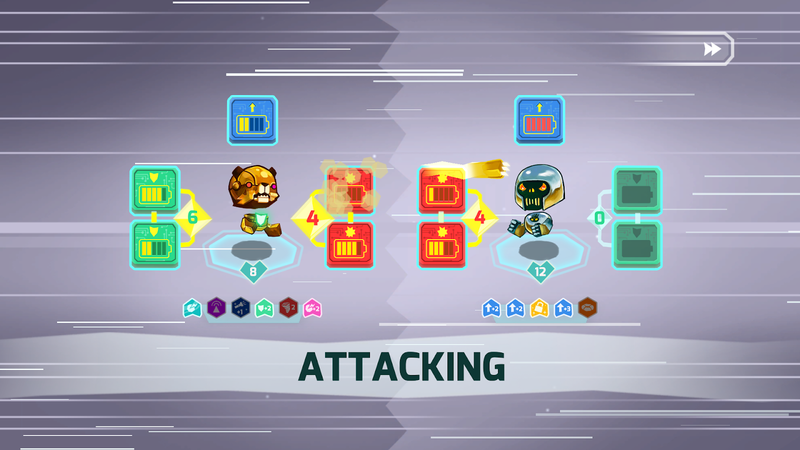 The traps are sometimes stationary, other times aims at enemies behind or in front of you. 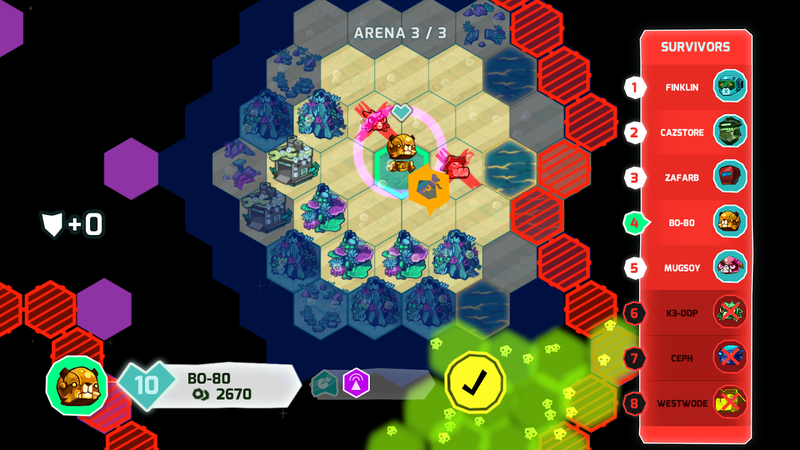 This adds a layer of strategy that took some getting used to but was very interesting to attempt. Gravs are customizable, but deciding on one upgrade may mean compromising on another. You can strategically tailor-make Gravs to gain the upper hand in races. In addition to the customization options, unlockable skins will be available free of charge according to the developer. So far the economy has not been locked down but the developer will not make this a pay to win game. All changes have a compromise attached that levels the playing field. Antigraviator has been incredibly well received and has one many Unity awards for its design and tech usage. The game will be available later this year and is already available for pre-order on Steam, Xbox One and PS4. Insane Robots from Playniac a UK based developer. This is a card based action game – but according to the developer it is card battling hacked to be more friendly and inclusive. According to Playniac the most frustrating aspects of Card Battle games are deck building and constant expensive card expansions. In Insane Robots they got rid of these elements and made a game that is streamlined but still complex enough to be interesting. bought and equipped to change how you interact with the map and enemies. Each level is composed of one or more arenas and when battling other robots through each arena there is a rogue-like aspect to the design. If you fail and die in an arena your progress from the start of the arena resets. All items and augments you had up to that point are still there but any new items and money would be lost and have to be recovered. As the arenas are all procedurally generated care should be taken as the same items may not appear again. 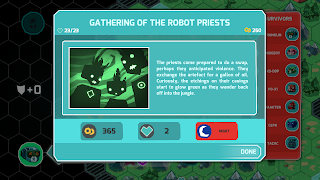 Insane Robots has a great deal of personality and all the unlockable robots all have their own designs and personalities. Some may be obsessed with cooking, others may be fanatic music fans. 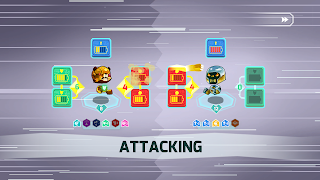 All of these traits come out in the story and battle modes as they communicate and interact with each other. What I saw of this game was incredibly interesting as well as just plain fun. Insane Robots will be released later this year on PC, Xbox One and PS4.